As I’m still away I have another post from a fellow blogger to share today, Jon. He runs The Money Shed which is the UKs largest community website dedicated to earning money from home so is ideal for any stay at home (or not!) parent who wants to earn some extra money! Kids are expensive, no shock there! It doesn’t matter if they are 8 months or 18 years old you will be forever emptying your wallet and throwing cash at them. With a 19 year old at home I dread to think just how much money we have spent in all the years on everything from clothes to driving lessons. 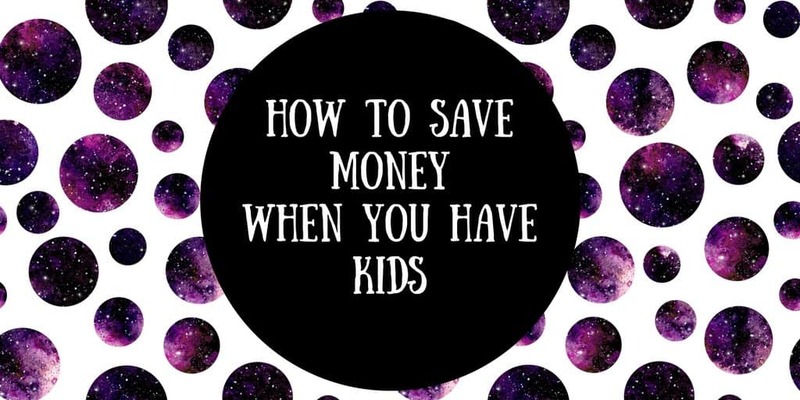 Luckily there are lots of ways you can save money along the parenting journey to try and save some money money so when the next ASOS sale rolls around you can actually treat yourself to that item of clothing you’ve been obsessing over online for ages! Meal plan your evening meals. With a typical household being 2 adults and 2 children the cost of everyone wanting something different can certainly add up very quickly. So when you are out shopping at the weekend look for deals on food that could cover multiple nights. I know M&S tend to do 3 packets of breaded chicken for £10 which means you’ve got your meat sorted out for at least 2 nights of the week. I know it’s hard when kids are fussy and are finding their way when it comes to food but the sooner you can all literally eat from the same plate the sooner it will save you money! Back when we used to do drop offs and pick ups from school we used to spend a FORTUNE on petrol in our 1.4l Ford Focus. The school was only about a 10-15min drive away and we were just burning through petrol doing these short journeys. We decided to buddy up with some other parents so make life easier for ourselves financially by making it so that one of us would pick up 3 different kids (ours + 2 of their friends) to and from school. It meant we only had to do the school runs once every 3 days and worked out better for everyone! Don’t go overboard at Birthday / Christmas. This was a decision we made quite early on and we stopped spending BIG money (probably after the age of 10) on presents and instead spent the money on EXPERIENCES. The amount of money I see parents spend on their children I just find baffling because their attention span just isn’t as long as you think it is and they aren’t going to get £300 worth of use out of that music keyboard like you think they are going to. Instead we used to spend money giving experiences such as going to concerts or doing out and about things that matched their interest at the time. I creates far more memories we found compared to items which just become obsolete a few months later. Don’t give in to pester power. Once you open that floodgate it is GAME OVER. As soon as they know what buttons to push to get you to buy them things while out shopping it is a battle you will end up having over and over again. It may be hard but keeping a grip on your child’s sense of entitlement is going to pay dividends because you will want them to understand the true cost of the items they have and not just think they fall out of the sky! Huge thanks to Jon for this post, as well as his website linked above you can find his facebook page here. Previous Post Girls Can Play Football Too!